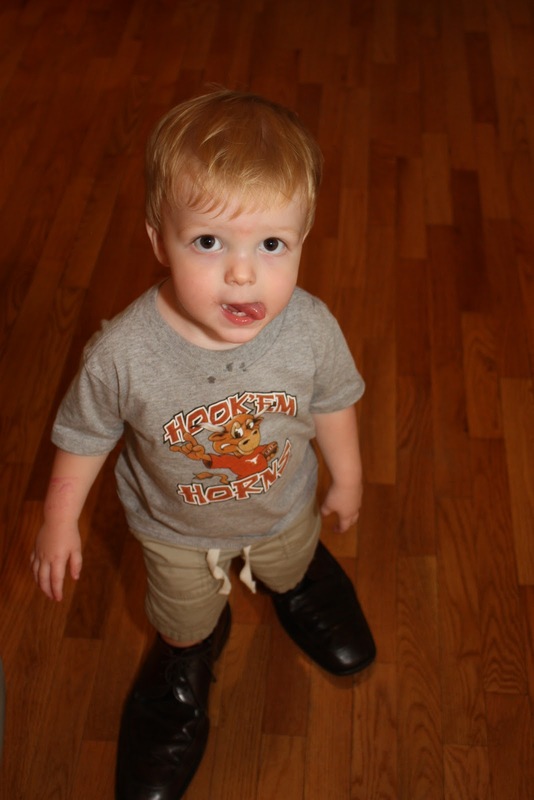 Zach has figured out how to wear “Daddy shoes”, though he can’t really maneuver super well in them. No matter, that does not stop the exclamation of “Daddy shoes! Daddy shoes!” whenever he seems them.